During the week, like most parents, I get pretty darn busy. One of the biggest changes in my life since switching to a Paleo diet is that I cook everyday. I used to cook probably 4 out of 7 nights a week anyway, but now I cook everyday, twice a day. Three on the weekend. One of the things I very quickly learned is that I would need to bring my lunch to work everyday. No more eating out with the office crew on a whim, driving through somewhere to get something to eat or even running to the grocery store for a quick sushi fix. I had to be sure to plan ahead. So, when I cook a weeknight dinner, I always try to make enough to be able to have leftovers for lunch. Of course, it doesn’t always work out that way. Sometimes what I make is sooo delicious (don’t laugh, it happens) that it all gets eaten or there is only enough left for the hubs for lunch, and he comes first in my book! 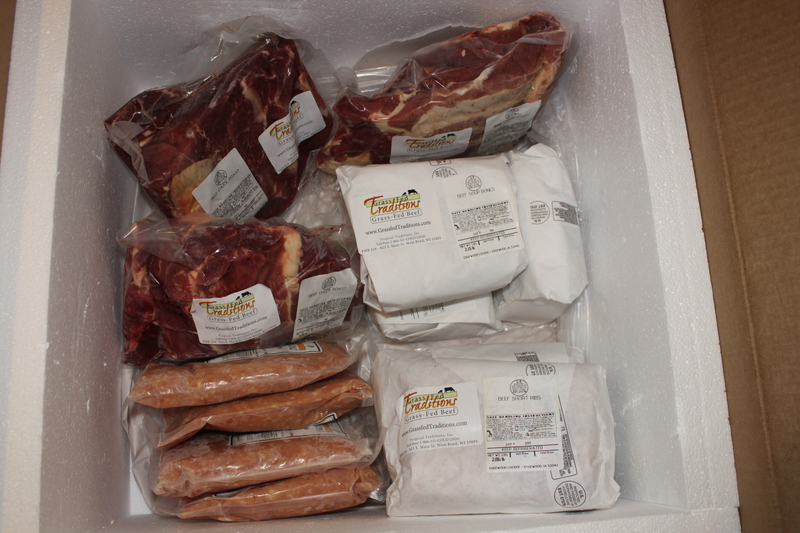 Several weeks ago, I received my very first online, grass-fed meat order from Tropical Traditions. First online meat order. First grass-fed order. First meat order from Tropical Traditions. It’s all good. Along with lots of beef (roasts, short ribs and soup bones! ), I purchased 4 lbs of ground chicken. The chickens from Tropical Traditions eat grass and insects (novel concept!) and are fed Cocofeed (no soy! ), which you can read more about here. I ordered some thinking I would make some burgers and boy, am I glad I did! 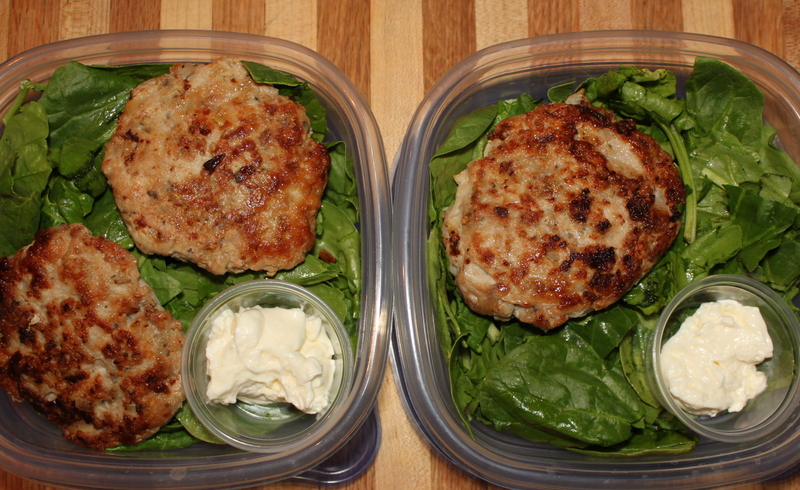 These chicken burgers have turned out to be one of the simplest, most flavorful lunches that I carry to work. Not to mention, they are a great grab-and-go, after school snack for my teenage daughter. When they are in the fridge, she gobbles them up. They are just as delicious cold as they are warm, and they keep really well. 1 T. dried herb mix of choice, I used Victoria Taylor’s Tuscan seasoning, which I absolutely love! To start, place the ground chicken in a large bowl and sprinkle in the herbs, salt & pepper. In a non stick pan (this is very important or they will stick!) over medium heat, saute the onions and garlic in a little bit of the coconut oil until just translucent. Add the onions and garlic to the chicken mixture and stir to combine. NOTE: This step is completely optional. It would be a lot quicker to leave out the cooked onions and garlic, making this recipe even more of a time saver, but I LOVE onions and garlic. I use any excuse to put them into whatever I am making! Feel free to omit the onion and garlic if you want. You won’t hurt my feelings. Return the pan to the heat, crank the heat up to medium high, and add enough coconut oil to just coat the bottom of the pan. Form the patties by hand (this part is messy), and place them in the pan. Cook until well browned, about 5-7 minutes per side. Once cooked through, transfer them to a plate to cool. When cool, store them in an airtight container in the fridge. A quick lunch will be ready anytime you need it! When I take these to work, all I do is put one on top of a pile of spinach and top it with a dollop of homemade paleo mayo! Lunch is ready for the hubs and I for tomorrow! Easy peasy, lemon squeezy. 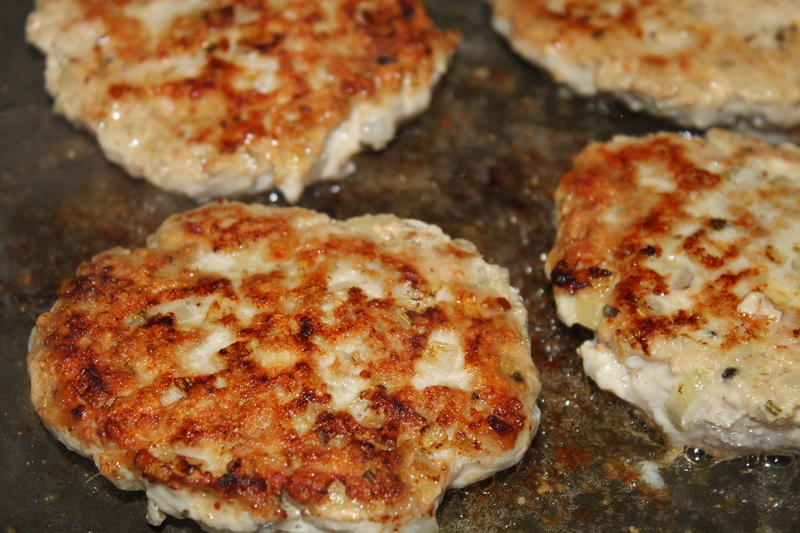 This entry was posted in Chicken and tagged chicken burger, cocofeed, ground chicken, pastured chicken, Tropical Traditions. Is this the same ground chicken they have labeled as pet food? Trying to figure out if that is a legality and I can eat it. Looks like it is simply ground chicken.